Between 1946 and 1953, the Josiah Macy, Jr. Foundation hosted ten conferences—all but one in New York City—that brought together a diverse group of scholars representing fields from mathematics to the physical, life, social, and information sciences. Known as the Macy Conferences on “Circular Causal and Feedback Mechanisms in Biological and Social Systems,” the postwar meetings initially sought to bridge disciplinary divides by using applied science to synthesize ideas and knowledge around questions about behavior and information-feedback, for both organisms and machines. After MIT mathematician Norbert Wiener published Cybernetics in 1948, conference participants adopted the term “cybernetics” as the umbrella under which their interconnected and interdisciplinary web of ideas gained meaning. Cybernetics has been defined in many ways: as the science of communication and control, or “steersmanship,” in organisms and machines (Wiener, 1948); as the study of form and pattern (Bateson, 1972); or, as quite simply the study of behavior—“[cybernetics] treats, not things but ways of behaving. It does not ask ‘what is this thing?’ but ‘what does it do?’” (Ashby, 1956). 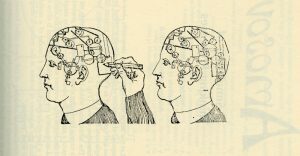 Cybernetics thus provided participants with a common language to articulate and discuss similar questions about behavior, or ways of behaving, across disciplines, regardless of whether the subject of study was animal, machine, or social phenomena. The Macy Conferences on cybernetics brought together a diverse host of scholars, including Margaret Mead and Gregory Bateson (anthropology), Warren S. McCulloch (neurophysiology), Heinz von Foerster (physics and electrical engineering), Norbert Wiener (mathematics), W. Ross Ashby (psychiatry), John von Neumann (computer science), Claude Shannon (mathematics and electrical engineering), G. Evelyn Hutchinson (ecology), and Arturo Rosenblueth (physiology). While these scholars met together at the conferences on a few rare occasions, they used a variety of other means to create and foment a community—a Denkkollektiv, or a scientific “thought collective”—around cybernetics. As defined by scientist Ludwik Fleck in his influential publication Genesis and Development of a Scientific Fact, a thought collective is a “community of persons mutually exchanging ideas or maintaining intellectual interaction” (Fleck, 1979), and the cybernetics thought collective subsisted during the three decades that followed the Macy Conferences. The U.S. contingent of the cybernetics thought collective was based primarily at two interdisciplinary research centers: the Biological Computer Laboratory at the University of Illinois at Urbana-Champaign and the MIT Research Laboratory of Electronics. The thought collective survived not only in these institutional homes, but also in published writings, and in the papers, records, and private correspondence on which this project focuses. 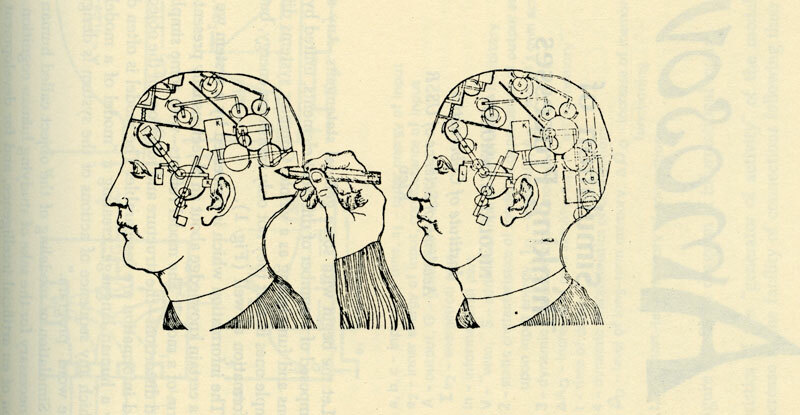 In many ways cybernetics began in New York City, but as the “new science” evolved and spread across the United States, Europe and South America, it was adopted by new practitioners. The Macy Conference participants also established research centers dedicated to its study. As a result, the archival material of the individuals who were part of this research network is geographically dispersed. This project intends to unite these materials to facilitate the study of the history of cybernetics and the thought collective it created. Initially, the University of Illinois Archives, American Philosophical Society, British Library, and MIT Institute Archives & Special Collections will embark on a one-year collaborative pilot project to digitize select archival material that documents the cybernetics thought collective and develop a plan to make discoverable the connections and relationships between topics in this material. The project will initially unite the papers of Heinz von Foerster (University of Illinois Archives), Warren S. McCulloch (American Philosophical Society), W. Ross Ashby (British Library), and Norbert Wiener (MIT Institute Archives & Special Collections)—four founding members of cybernetics, whose mutual influences were profound and whose lives intersected in many ways.